Alpinestars Viper, Jaws, and Celer: A Tantalizing Release! 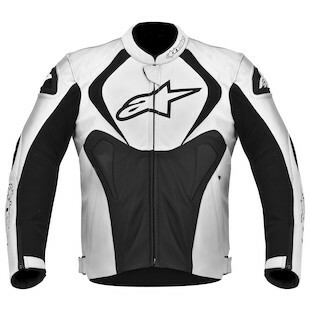 New for Spring 2013, Alpinestars brings 3 tantalizing jackets to the table! Made for upside-down forks, single-sided swing arms, and dyno-tuned exhausts, these motosexy jackets will fuel your need for speed! Let's begin with the Alpinestars Viper Air Jacket. Made for extreme airflow by means of extensive mesh paneling on the front and rear panels, the Viper Air will also include a removable wind/water vest lining if you get caught in April showers. An adjustable fit, with a pre-curved cut, this aggressive skin saver may quickly become the bread and butter of Summer 2013. Available in 4 brilliant colors, the Viper Air supports your two-wheel fantasies and makes you look good while you are at it! While we can't say that the following jacket will protect you from massively large great white sharks, we will presume that the Alpinestars Jaws Perforated Leather Jacket will make you feel like one on the tarmac. A serious exo-skeleton, the Jaws Jacket includes external, dual-density TPU shoulder sliders for an extra edge. If you are committed to taking this one to the track, you will be able to integrate an Alpinestars Level 2 CE-certified back protector into the multi-snap connector located at the back of the jacket. All told, this is a hard-core cowhide for your birthday suit. Profiled after Moto GP styles, the Alpinestars Celer Leather Jacket features a perforated speed hump that adds air conditioning and aerodynamics at the same time. Additionally, the Zippered Dynamic Flow Control air in-takes provide regulation across your shoulders to meet your ventilation needs. The Celer carries over a host of features from the Jaws jacket, while stepping it up with an aggressive sport fit and some additional accordion stretch panels to compensate. The Celer is the king of the hill for this release, intended for only the most dedicated two-wheel maniac. If this didn't fill your tank, check out more 2013 Alpinestars at RevZilla.com.